One method that can generate a lot of fish. Trolling is a method that requires that you have access to a boat. When one conjures'll let you bait / baits lag behind the boat. You can bring your boat with electric motor or fuel engine. There are many different dimensions in trolling. Some are content to have access to a smaller boat and lugging around a move by boat. Others want to maximize your luck and then buy a bigger boat and equip it for fishing with several rods, to cover a larger area, but also to fish different depths and be able to fish with different baits at the same time. It is fished by all sorts of species, however, so it is very popular to troll for salmon, trout, perch and pike. Depending on what level you want to put on as it requires different equipment. The usual equipment for trolling is obviously one or several rods, lines and reels. During trolling it becomes much load on the equipment, so it is important to have tough stuff. A fairly stiff rod, a reel that can withstand high loads (multi-roller is preferred) and durable rope with high breaking strength. Necessary equipment is rod holders, depth rig, paravaner, mast, plans skateboards, sonar and plot or GPS (for larger water). - Rod is necessary to not be dependent on holding the rod at all times during the voyage. - Depth Rig is a heavy sinker that is attached to the fishing line, and then lifts it down to the desired depth. Then when you get stab there is a so-called linutlösare which releases the fishing line from the solder. - Para Tail is a disc with a special angle so that it is pulled out of the boat while driving, this is to be able to cover a larger area. At para van you put fishing line, which also has a trigger that releases the rope at the ready. - A mast is necessary to be able to have out several lines simultaneously, without tangling. - Planerboarden use it together with the mast. It is linked by a rope that is attached to the mast, and because planerboarden has the same function as para van (deducted from the boat) becomes the main line stretched out into the water. On this line so attaches then spölinorna with a suitable distance from each other. Each line is equipped with a linutlösare so when it cuts so releases the rope from mast / board plans rope. We use this system to avoid tangles when fishing with several rods, and to simulate a school of fish. 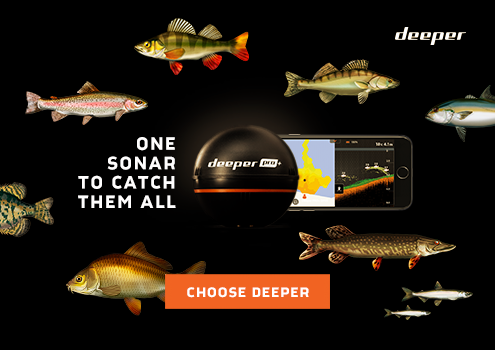 - Sonar is invaluable to find where the fish are. Other equipment Haven, tackelboxen, tools, etc. must have their given places on the boat and will not be able to go around in the boat when traveling in rough seas. Ideally, every single gadget stuck. Many believe that it is history that determines your luck fishing for trolling, but the fact is that the speed can be just as important, if not more important. If you have not received stab in a while so it's a good tip to either decrease or increase the speed.